Since the beginning of human civilization, we have looked up at the stars and wondered in amazement. The vastness of the universe was unknown to early humans, but in recent decades and centuries, we have begun to realize just how incredibly large the universe truly is. With hundreds of billions of stars in our galaxy alone, and with hundreds of billions of galaxies in the observable universe, a normal question was bound to arise… Is anyone else out there? This has fascinated everyone from conspiracy theorists and kings to modern astronomers and Hollywood producers, but back in 1961, a man named Frank Drake came up with an equation that would measure the likelihood of making contact with intelligent life in our galaxy. That is the essential goal of the Drake Equation, and while it has been hotly debated for decades, it remains one of the most concise and trusted methods of estimating an answer to that eternal question: Are we alone in the universe? When Frank Drake first came up with the idea for the Drake equation, he was actually trying to generate a conversation among a “meeting of the minds” regarding the search for extraterrestrial life (SETI). However, the simple and inclusive design of his equation has become the stuff of legend. Before we go into the details of the equation, let’s look at it in simple terms. 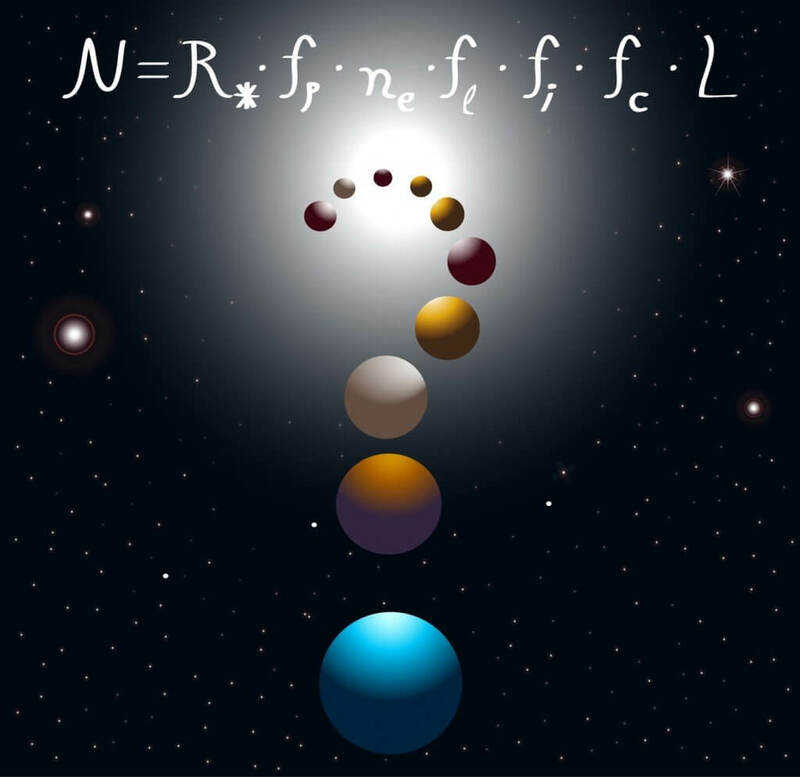 An Answer to the Drake Equation? While it seems like a simple enough equation, the problem doesn’t like with generating a final answer (N), but rather in determining what other variables should be included. The first three variables (average star formation rate, planet-possessing stars, and potential to support life on those planet) are relatively easy to determine. R* – By looking at our own nearby galactic neighborhood and the residual gas clouds from star formation, we can safely calculate that the present rate of star formation is currently about 7 stars per year. This number was far greater in the past, but in the 21st century, that’s a safe bet. fp – The fraction of those stars with planets is often assumed to be 1, given that many modern astronomers believe that every star has the capacity to retain orbiting planets, making stars without planets an exception, rather than a rule. However, some other figures place that number at only .4 (4 out of 10 stars will possess planets). This is where the significant differences in variables begin, but it gets even more intense. ne – The number of planets that could support life around each of those stars is largely derived from our own solar system, where Earth is definitely habitable, but we have yet to determine the habitability of various other moons and planets. Therefore, the number ranges from .5 to 2 in most calculations of the Drake Equation. Those are the easy ones… and there is far more debate on the last 4 variables, as much of it is conjecture, based on belief, rather than scientific fact or direct observable experience. fl – The fraction of planets that do develop life is hotly debated and cannot be directly tested, as we haven’t traveled to other exoplanets where the “stuff of life” has been detected. We know that life could develop, but not whether it will. Some say life is inevitable, making this variable equal to 1, while others say it is 1/100, or even smaller! fi – The fraction of planets with life that develop intelligent life is similarly up for grabs. Many argue that intelligent life is inevitable, using Earth as an example (humans evolved from every other form of life, and eventually became intelligent), while critics say that it was a 1 in a billion chance, as there have been hundreds of millions of non-intelligent species in the history of the planet. fc – The fraction of those intelligent civilizations that send communication signals suggests a highly technologically evolved culture with the desire to reach out to the stars. This could also be largely conjectural, but a 1/100 estimate was made by Drake, although others say it is a 100% chance, if given enough time. L – Finally, we come to length of time the signal would be generated. For example, perhaps a civilization rose to prominence 10 million years ago, broadcast the signal, but then destroyed itself before it could connect with us. This is the variable with the most flexibility, from a few hundreds years up to billions (some suggest that eventually, a civilization will discover how to survive in perpetuity, meaning the signal transmission time would be massive. NOW….in 1961, Drake estimated with a rather simple range of values, and came up with two values, a minimum and maximum. The minimum estimation of possible communicative civilizations in our galaxy is 20, while the maximum is roughly 50,000,000. Frank Drake himself believes that the number lies somewhere between 1,000 and 100,000,000. While the debate over extraterrestrial life will never be resolved until we actually find some, we have improved our ability to calculate the variables in the equation. Unfortunately, this hasn’t done much in terms of shrinking the possible range. In fact, our precision has only expanded the range, and current estimates range from 2 to 280,000,000. 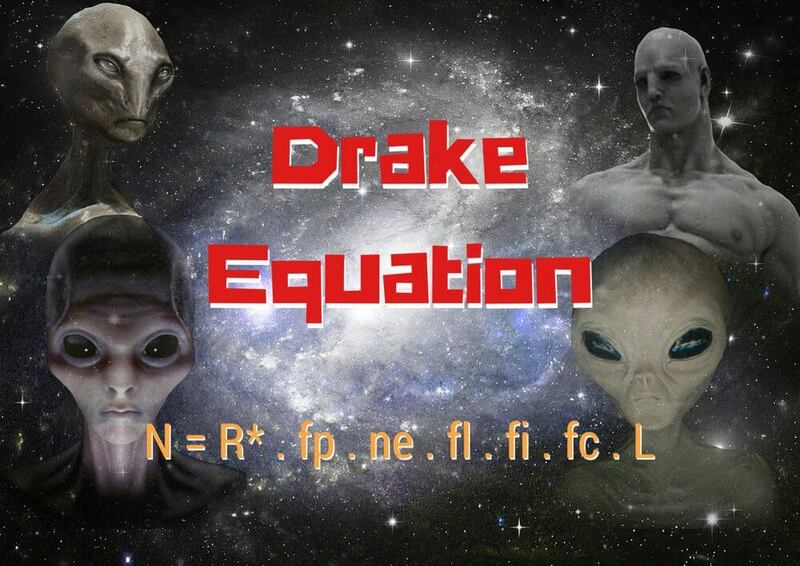 The original purpose of the Drake equation, we must remember, was not to determine an accurate number of communicating, intelligent civilizations in our galaxy; it was to stimulate thought in this area, and hopefully guide people to look into the variables and expand the scope of their research. To that end, Frank Drake has been extremely successful. With every successive venture into the cosmos, we get closer to finding life (or not), but with hundreds of billions of stars out there, we’ll likely never know the exact number. However, in terms of extraterrestrial life, I’ll leave it to Fox Mulder….